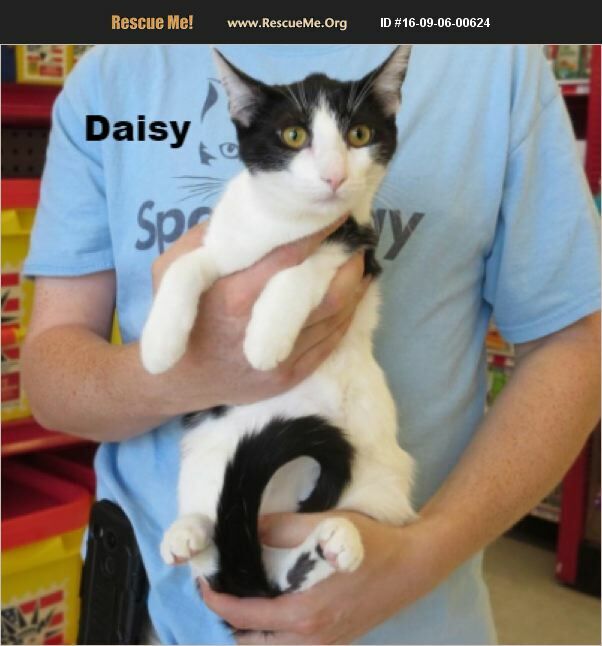 Daisy (born 5/1/2016) is a female black and white shorthaired cat. Generally she is just a good natured, playful but cuddly kitten who seems to like everything and purrs a whole bunch. She does well with respectful tweens, gets along great with the other cats and kittens in her foster home, and although she hasn't had much dog experience we think she is relaxed enough to live happily with a cat-friendly dog. She has a lot of energy and would do best with a playmate to wear her out like her sister Primrose.